"Penny has always been a good girl but I had no idea how much better she could be until she started going out with Boston for the Dogs. I just wanted her taken on a hike so she could run around with some doggie friends. Little did I know that Hannalore’s crew would transform my Penny into a dog that sits while waiting to cross the street! She even gave the vet her best sit yesterday without being asked because she wanted another treat. Penny is also much more confident and less fearful of men since she joined Boston for the Dogs. And it’s all a tribute to their team. They are so passionate about helping each dog be the best they can be. Hannalore hasn’t just built a business with clients; she’s built a family. And it’s such a joy to be part of. Especially the private Facebook group…the photos of all the happy, playful dogs from that day’s hikes, walks, and playgroups always puts a smile on my face!" "Boston for the Dogs saved my sanity. I truly cannot say enough about them. I adopted a rescue dog that ended up being a breed that I had no knowledge of and this breed is a high energy stubborn one that I had no idea what to do with. Hannalore was able to come over within an hour of my desperate phone call and provide me with a plan and reassurance. Since then, Boston for the Dogs has been there for me in many different ways. They do daily hikes and playgroups with my pup. I go to Practice in the Park as often as possible for my own work with my dog. They have provided invaluable advice on food, medical intervention and vets. They have always been flexible with last minute needs and concerns with immediate responsiveness. I hope to be a part of the family for years to come." "The passion, care, guidance, and support that Hannalore, Corey, and the entire BFTD team have provided to both me and my rescue dog, Rocket has been invaluable. Rocket was fearful, timid, and not confident when we first met and through hard work, consistency, and real world training outside of a classroom with the BFTD team, he has blossomed into a confident, outgoing, and incredible partner. They are dedicated to truly understanding the different needs for each dog/human that they work with and take the time to go above and beyond to make sure we are continually working towards meeting and exceeding those needs. They are fiercely loyal and dedicated to their pack and community and are there to guide you not only through the challenges you and your dog might face, but also celebrate your successes and accomplishments together. Rocket and I are truly lucky to be a part of the Boston For The Dogs pack!" "Boston for the Dogs is like a family to us. We have three smaller dogs ranging in age from 3 to 15, and not only do the dog walkers know and comment on their unique personalities, but they take the time to let us know when they see something with the dogs we should pay attention to. 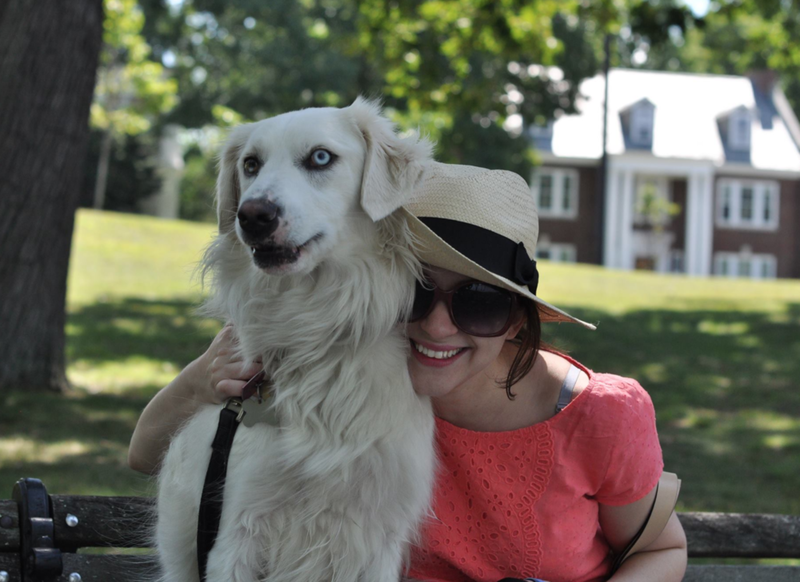 I treat my dogs like family -- and consider Boston for the Dogs to be part of that family." Hannalore and her team have done a great job with our dog Teddy who needs structure and lots of exercise. We have used BFTD for hikes, pack walks and over night care. Very pleased with the services and the team! "When we rescued Ginko she needed a lot of training. We tried different techniques and eventually got her to place where we believe she is more happy, healthy and confident every day. Hannalore and team has not only respected how much work we have put into our dog but they’ve also contributed greatly. The hikes have been life changing for our dog. It gives her a chance to mingle with other dogs in a safe, structured environment and allows her to listen to people other than us. I absolutely love that they post pictures and videos of their hikes, walks and playgroups so you can see how much fun your dog had! Anyone can walk dogs but the love, care and service that this company has provided our dog is very hard to come by. " "Boston for the Dogs is the only structured dog walker that we trust with our dogs. We have two shepherds who require engagement and structure, and previous walkers did not provide this. We were lucky enough, blessed even, to find a home with Hannalore and Corey at Boston for the Dogs. They understood the needs of our dogs and also our needs as humans. We have had a hard year with our family and they helped us, in a holistic way, get a grip on being dog parents again. Piper and June are now much happier that we have people that love, care and challenge our dogs. We are very grateful for the opportunity to not only have a trusted dog walking company but that training and practice opportunities are available through the company as well." "Hannalore is an overall amazing person and is fabulous with all kinds of dogs. We've worked with Hannalore one-on-one and she was able to customize her training program to fit our family's needs. We also love participating in Practice in the Park- it's such a unique way to socialize and train your dog while having fun as part of the pack!" "From that first meeting Hannalore changed our lives. She thoroughly explained her training philosophy, made recommendations to lessen Lenny's anxiety (and ours), and suggested specific training methods. We have seen dramatic improvement in Lenny’s leash walking skills and confidence around other dogs in just a few sessions. Hannalore works with Lenny on a weekly walk schedule and we do on-leash pack training on the weekends at the Arboretum. She and her team are dependable, skilled, and committed to helping your dog become a better canine citizen. Hannalore exudes confidence and competence. Hannalore and Boston for the Dogs have my and Lenny's highest recommendation."